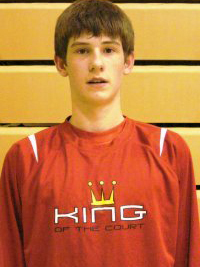 Evaluation: Aggressive wing with a pure stroke from deep, deep range Evan is one of Ohio’s top 2014 prospects. A hard-nosed slasher who isn’t overly athletic but is crafty enough to use his length to get to the rim. Solid ballhandler who is improving in that area and eventually will be able to play the SG at the college level. More then just a shooter he is a complete scorer that can match anyone in his class bucket for bucket. Bottom Line: High level of potential as a skilled young wing with a great passion for hoops. Will be on of Ohio’s most heavily recruited kids.